MODFLOW-SURFACT™ is a powerful 3D finite-difference flow and transport modeling code that offers substantial advancements over public-domain versions of MODFLOW. 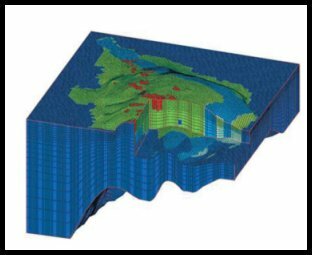 For example, MODFLOW-SURFACT™ addresses rewetting of drained cell, handling of pumping wells, solute transport problems, numerical dispersion and oscillations, and impacts of transient flow storage effects on transport. What’s more, highly efficient, mass-conserving algorithms enable MODFLOW-SURFACT™ Version 4 to deliver accurate solutions faster than ever before. 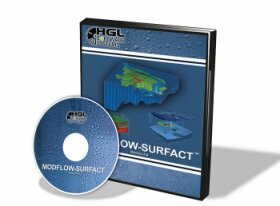 MODFLOW-SURFACT™ is compatible with all available MODFLOW-based GUIs, including Groundwater Vistas, Visual MODFLOW, GMS, Tecplot, and Argus ONE. 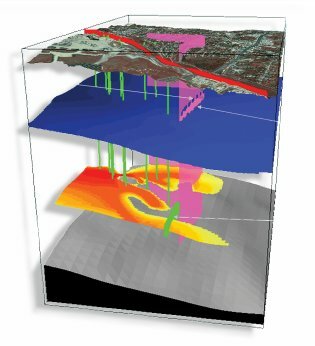 Two-dimensional visualization is utilized in both plan and cross-sectional views for contour plots, pathlines, and velocity vectors. Three-dimensional animation is the most effective way to observe changes in parameters, head and contaminant concentrations in a transient simulation, piezometric surfaces, pathlines, velocity vectors, and isosurfaces of contaminant plumes.